Shopping for a new Jeep Wrangler for sale near Stamford? 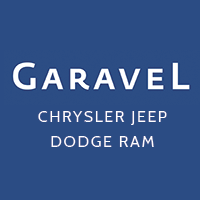 With new Jeep Wrangler models in stock, Garavel CJDR is the local Jeep dealer for you! From a new Wrangler with a LED Lighting Group and a zipperless Sunrider soft top to a Wrangler Rubicon with 33-inch off-road tires and Dana 44 wide track heavy-duty axles, we're sure to have a new Wrangler in stock that can meet your every demand. Browse our inventory of new Jeep Wrangler models for sale to discover the perfect one to drive home to Greenwich. Here at Garavel CJDR, we understand that Bridgeport drivers want to make sure they're getting the best deal on their new Wrangler. By taking advantage of our lease & financing specials you can get the Jeep you're looking for at a budget-friendly price. Once you decide whether to lease or finance your new Jeep Wrangler, contact us to experience the thrill of driving a new Wrangler by taking a test drive. Our friendly and knowledgable sales staff is standing by to help navigate you through the sales process. Visit our showroom in Norwalk today. In the meantime, see how the Wrangler stacks up to the Toyota 4Runner.